Neverending fun is guaranteed with our Motorboat Games! The best motorboat free games are waiting for you at Miniplay, so 3... 2... 1... play! 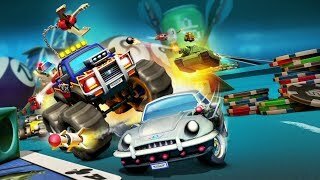 Enjoy a car race based on Micro Machines and developed by Codemasters for Sega in the 90s. 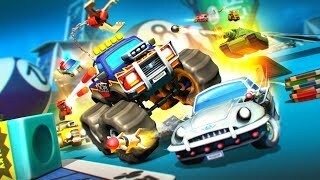 Get ready to speed up in thrilling races around colorful stages. Dodge the obstacles and be the first to reach the goal! 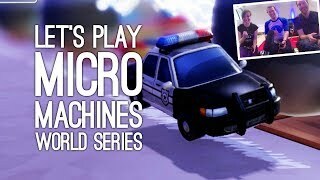 And remember - if it doesn't say Micro Machines, it's not the real thing! Take part in a motorboat race choose one and defeat your rivals on several tracks. Take part in a frantic motorboat race. 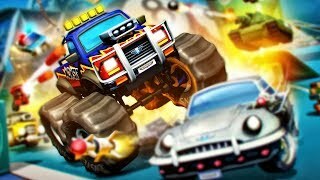 Beat these nine tracks and collect money to upgrade your vehicle. Go after the dangerous thieves that are running away across a muddy swamp full of crocodiles. 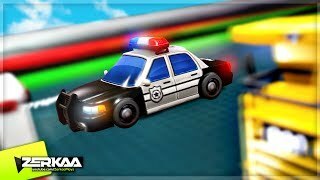 Control your police boat, dodge the obstacles and collect coins! 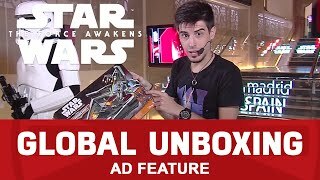 Catch them before they get lost - good luck! Drive this power boat and rush along the tracks. Try to complete the laps in as little time as possible and win! In this motorboat race you can choose between three circuits. The game isn't very difficult, but it's fun anyway. Ride this motorboat and win! Dodge the obstacles and do some amazing jumps. Take part in a frantic motorboat race. Curve well to take a huge advantage of your rivals. In this game similar to Micro Machines you just have to start your motorboat and show everyone you're the champion. Steer a motorboat and complete the track at max speed. The blue barrels will help you, but don't touch the red ones. 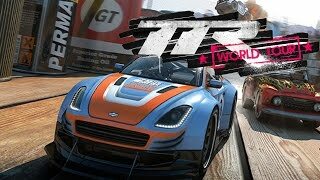 Take part in this motorboat race enjoy the tracks set all over the world. Ride this motorboat, collect fuel on your way, dodge other boats and dolphins and try to be one of the first three. CLASSIC GAME! 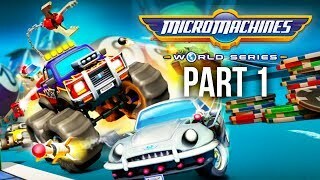 - MICRO MACHINES WORLD SERIES! 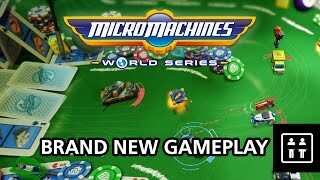 Micro Machines World Series Gameplay: Let's Play New Micro Machines - NOW WHO HAS THE HAMMER? 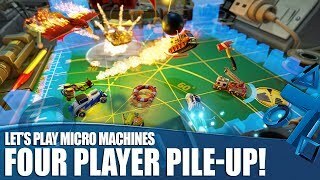 Let's Play Micro Machines World Series - Four Player Pile-Up!